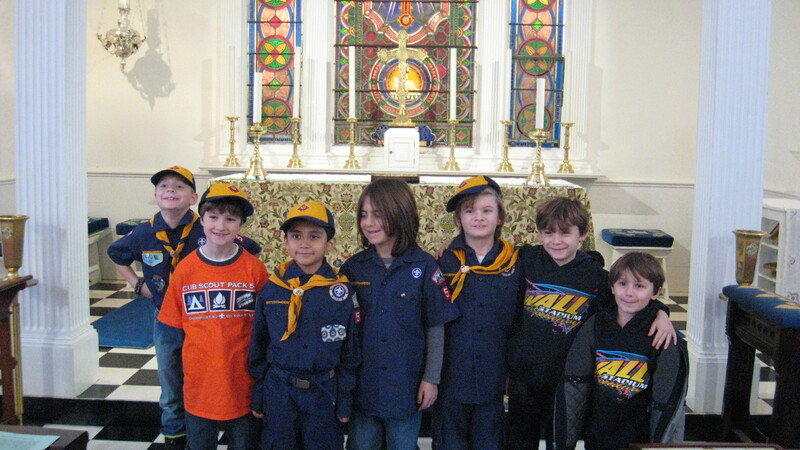 This group of cub scouts accompanied by many of their parents visited the church on February 11. They heard about the history and what a church really means. Patrice Thornton portrayed Graham Kearney Cooke for them.